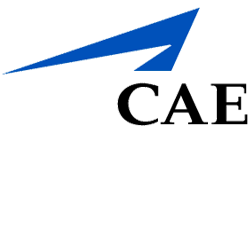 CAE is a global leader in delivery of training for the civil aviation, defence and security, and healthcare markets. The company designs and integrates the industry’s most comprehensive training solutions, anchored by the knowledge and expertise of 8,000 employees, world-leading simulation technologies and a track record of service and technology innovation spanning seven decades. CAE’s global presence is the broadest in the industry, with 160 sites and training locations in 35 countries and the world’s largest installed base of flight simulators. Each year, CAE trains more than 120,000 civil and defence crew members, as well as thousands of healthcare professionals. As a recognised training system integrator, CAE’s capabilities include: instructional systems design that is achieved through the combination of best practice training needs analysis techniques and the training media to achieve optimal knowledge transfer and skills development, courseware development, and education and trainign delivery. As a professional service provider to government and industry, CAE’s strong simulation capabilities enable the company to support its customers through the sprovision of products and trainign devices, operational support – including through-life support and onsite maintenance – and mission systems planning and rehearsal. As an independent training systems integrator for the air, land, sea and public safety domains, CAE has proven experience and an exemplary track record of planning, delivering and operating comprehensive training systems and training centres. The company has an unparalleled global footprint, a heritage of training technology innovation, and all the requisite skills of a training systems integrator – all from the perspective of an “honest broker” who is independent from the platform for which training is required.